Season six of The Walking Dead is just over a month away. You know what else isn't too far off? Negan. 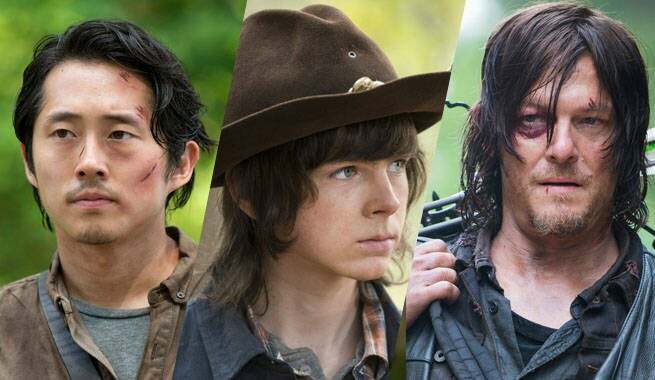 In a recent interview with Empire Magazine, The Walking Dead executive producer Greg Nicotero summed up the remaining half of season six as "Relentless," and "Heartbreaking." Sure, those words seem a little trivial and common when describing AMC's ruthless zombie drama after 5 1/2 seasons, but Nicotero also teased a bit of Negan's arrival, as well. "If you read the comic book, you know we're climbing towards a major death," he said. Fans of the comics know (spoilers ahead) that with Negan's infamous issue #100 introduction came a "Hello, Lucille," and "Goodbye, Glenn." Nicotero's account sure does seem to hint that the TV series will stay true to the comics but, historically, the show tends to differentiate itself from its source material from time to time. We'll have to wait and see if Glenn is treated to Negan's home run swing when the villain arrives at some point this season. Negan was first mentioned on the TV series in a post-credits "prologue for the next chapter" following the season 6 midseason finale. With The Saviors having made their debut, we can only assume Jeffrey Dean Morgan's Negan will arrive sooner or later. The Walking Dead returns February 14 at 9 PM ET on AMC.